We provide true unlimited hosting for any website as long as it complies with our very simple Fair Use Policy. 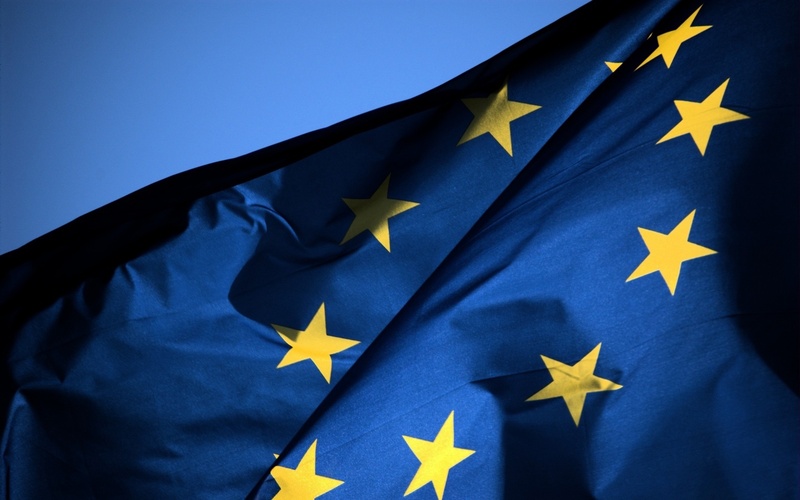 EuroHost offers domain registration services in gTLD and New gTLD zones at competitive prices. Three-layer denial of service attack mitigation system built using Arbor® and Juniper® hardware. The best choice for starter or low-traffic websites that receive less than 100,000 monthly visitors. Fully-featured hosting plans with unmetered disk space and data transfer are ideally suitable to host a Wordpress blog, a website created with Site Builder, or a pure HTML project. Additional power is brought with hosting plans for business websites. The ability to process simultaneous requests by multiple PHP/CGI handlers in parallel brings enhanced performance and essential improvement of browsing experience which is vital for a website that generates web pages dynamically. EuroHost's innovative technology combines standard cPanel® web hosting and container-based private servers that allows maximum performance for applications that require large amount of dedicated resources. The whole experience looks like managing a regular hosting account, no additional skills required. Our infrastructure is built of quality components to provide web hosting service of the highest level. Network appliance is located in several state-of-art data centers in Germany. Redundant multi-gigabit connection to the Internet delivers superior browsing experience to website visitors. Each of data centers is equipped with Arbor® and Juniper® DDoS attack protection hardware that not only effectively mitigates common attacks, but precisely detects and distinguishes between malicious packet flows and legitimate traffic. Unlike other cPanel® hosting providers who serve their entire customer base from single overloaded server, we spread the load over the custom-built scalable cluster of servers. 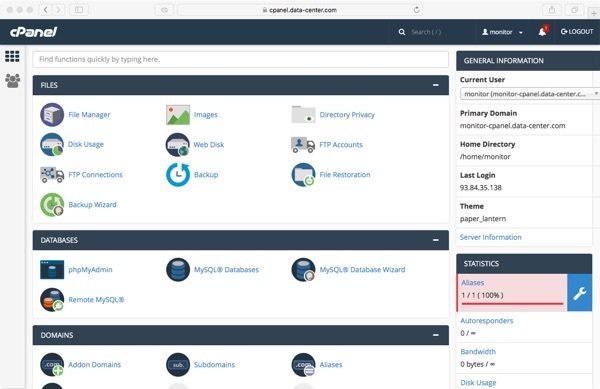 Hosting platform is divided into several sections every of which, working separately of each other, is dedicated to run it's own service be it web server, database server, or cPanel® interface. This approach allowed us to eliminate "the first byte problem" when a web visitor could spend several seconds waiting for website to reply. Data integrity is guaranteed by using multi-node cloud file system instead of regular server-mounted hard drives. Each stored file exists in two copies on distinct nodes in the cloud so that in event of hardware failure survived copy is propagated to another healthy node thus preventing data loss. File system scales by simply adding storage nodes that we periodically do to prevent resources shortage. This way we solved the problem of offering unlimited disk space which is technically impossible with regular server attached storage. In addition to monitoring common threats, we are focused on zero-day security. While server software upgrades automatically once vendors release updates, we constantly and closely attend to web activity in order to implement security solutions before particular vulnerability spreads across the Internet. Not to mention that our systems are fully protected from recently discovered Meltdown and Spectre vulnerabilities. cPanel® has became web hosting industry standard in last years. It provides robust interface accessible from any browser to manage all services of your hosting account. No coding knowledge or special software is needed to create a stunning website. 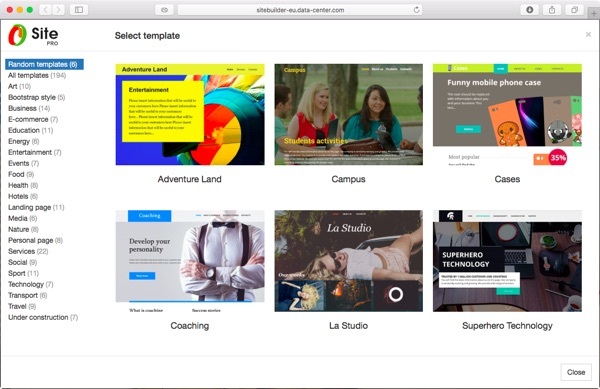 Choose one of hundreds pre-designed templates and customize in your browser by simply dragging content blocks into their place. Installed software works out of the box. No additional configuration required, everything is done automatically. In addition to automated installation, applications can be automatically backed up and upgraded. Your website can occupy as much disk space as needed as long as you obey our simple fair use policy. Stable and reliable web server software built for seamless delivery of web content. We SSL encryption for all of your websites including subdomains and domain aliases for free as long as you host with us. We do not limit bandwidth usage. Your website visitors will be always served at full link speed. 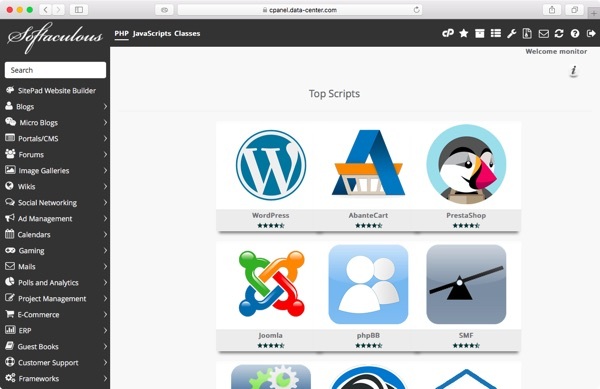 Widely used scripting language that can be embedded into HTML to generate web pages dynamically. We have partnered with MailChannels e-mail relay service to provide guaranteed delivery of correspondence sent through web forms. Haters not only going to hate, but act against their competitors. With EuroHost you can safely keep calm and carry on. 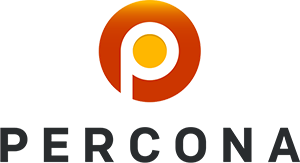 We offer Percona® database server which is fully compatible with official MySQL server and uses various patches to provide enhanced performance. Customer service is available via e-mail or web-based ticket system throughout the day to solve any issue you may encounter while getting your website set up. Although we aim at providing the best web hosting experience, we realize that not all web projects can be successfully hosted on our platform. Should you experience any issue with your website that prevents it from working as expected, we will refund all fees paid for hosting services, no questions asked. Build your online presence within minutes.